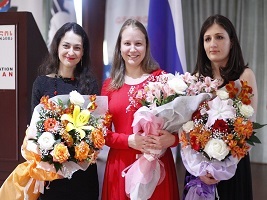 Grandmaster Alexandra Kosteniuk has won the 2016 Russian Classical Women’s Chess Championship, ahead of Pogonina and Bodnaruk. 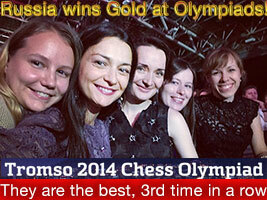 See the report by Chess24 here. 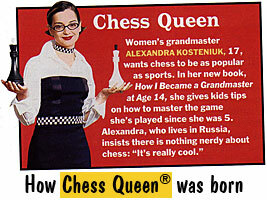 And see the 2005 ChessBase report about her previous win 9 years ago. 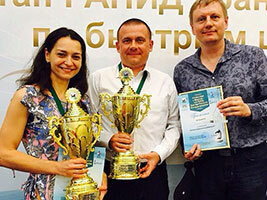 At the beginning of October 2016 the Russian Chess Rapid Championship was help in Sochi, Russia. 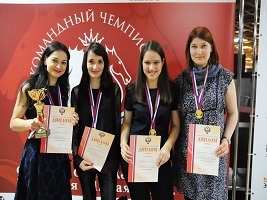 It was won by GM Alexandra Kosteniuk with 8/10 ahead of Aleksandra Goryachkina with also 8/10 but a lower tie-break, and third Natalija Pogonina with 7.5 points. 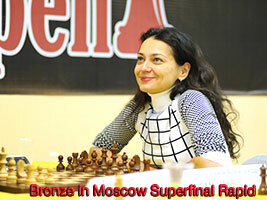 The full results are here and a report (in Russian) about the tournament is here. 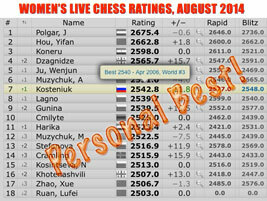 I’m glad to report that I have been able to beat my personal best chess rating in the last ratings list. 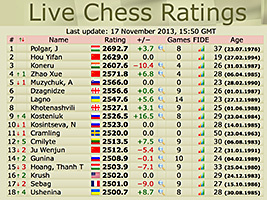 It’s now 2547 and I’m 7th in the world rankings and #1 in Russia. 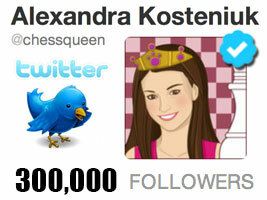 My last record was 2540 in 2006, just before I gave birth to my daughter in 2007. 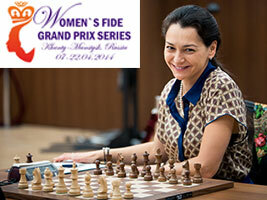 More info can be found below, you can also check at any moment the Women’s Live Chess Ratings at this link. 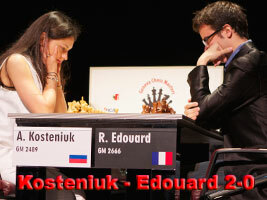 It changes daily when tournaments are being played, see my most recent game at the Bilbao Club Cup. What is the Scacco Matto GMT-3 Gangi-Kosteniuk? Hello everyone! New videos just were posted about what may well be the most exclusive, the most beautiful and the most expensive chess watch. You may have seen the original PRESS RELEASE, the PHOTO ALBUM, and an article I posted about it. Well now it’s time to check out the videos below! Let me know if you think it’s cool! 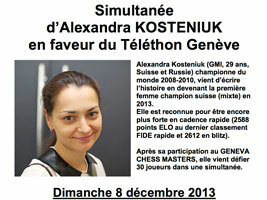 My 2013 competition chess year is over! 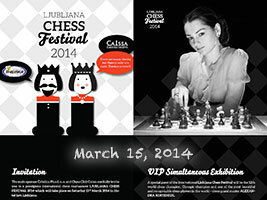 It was filled with interesting games, exciting discoveries, beautiful combinations and sad omissions. 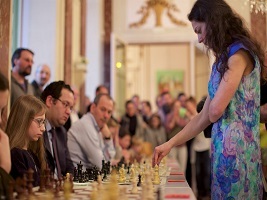 In this post I review my 2013 chess year so I can move forward to my competition year 2014. 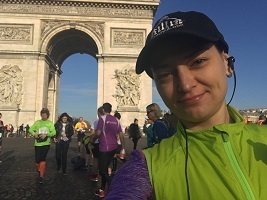 Overall the year 2013 was quite successful for me – I increased my rating to 2527 Elo and I finished the year in the worlds women top 10. 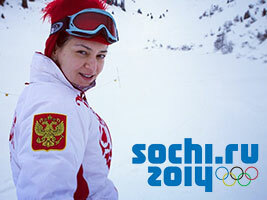 In this post I share with you (in Russian for the moment – use Google Translate for full text in English – but you get to see the photos and games) the most important and memorable events of 2013. 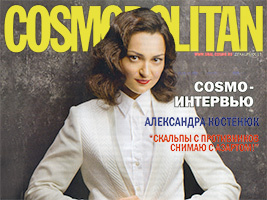 I am pleased to share with you a special feature in the Russian edition of Cosmopolitan of December 2013. 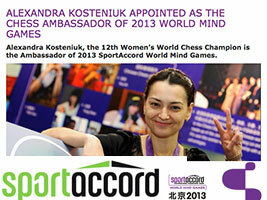 The interview is interesting and deals with my personal life and how I combine my professional chess life with the life of a fashion conscious lady. 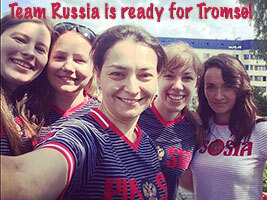 Makes you feel like learning Russian? 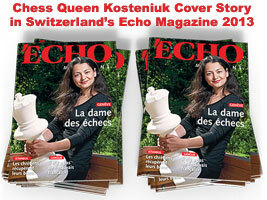 Below is a scan of the article, it’s a good way to promote chess to the general public. Let me know if you like the photos! 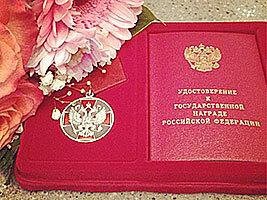 As you may know in 2003 I graduated from the Russian State University of Physical Education and Sport with a B.A. degree in Physical Education and Sport. 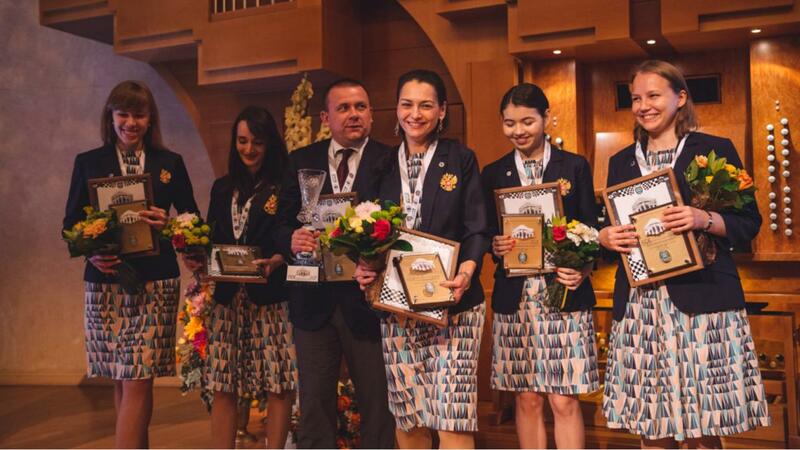 This is the institute where many world level athletes have studied, such as Ilya Kovalchuk, Pavel Bure, Svetlana Khorkina, Anna Chicherova, Yaroslav Rybakov, Vera Zvonareva, Svetlana Feofanova, Svetlana Zhurova, Pavel Kolobkov, and many more. 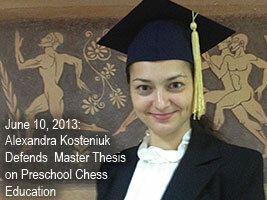 Now 10 years later, yesterday, June 10, at the Moscow State Academy of Physical Education and Sport I defended a thesis about the pre-school pedagogical technology for chess that I developed and am using in my pre-school chess school in Moscow (where kids from 3 to 7 years old study chess and prepare for school). 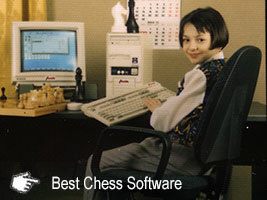 It is most useful to show the world that chess helps kids do well at school and that it is a great game that parents can teach their kids anytime after age 4. Hello everyone! A Russian fan contacted me on Twitter to let me know that he published 2 music videos with slideshows of some of my photos. 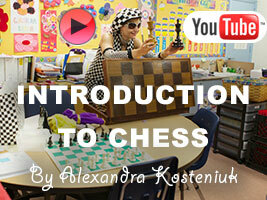 The first song is truly a chess song, called “e2-e4″ by the Russian group “Recital” of 1984 (that’s the year I was born) and with chess lyrics, the singer is Alexander Kalyanov. 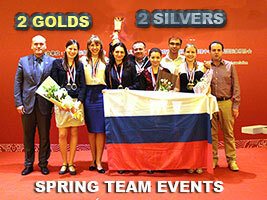 The second is by the group VIA, music by Viacheslav Dobrynin, and singer Alexei Kondakov. Both videos are embedded below. 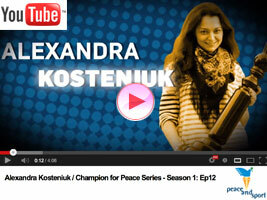 Please “like” the videos and my post, and share on Twitter and Facebook! 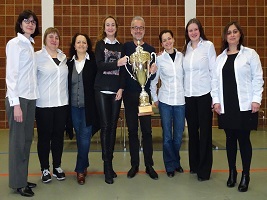 As you know, each year I organize a tournament for kids U-6, U-8, U-10, with many prizes and no entry fee, so I am glad to let you know that this year it will take place again! 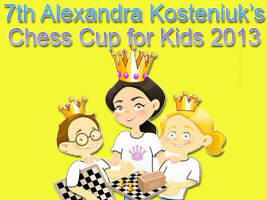 The 7th Alexandra Kosteniuk’s Chess Cup will take place on October 19 and 20, 2013 in the city of Kaliningrad, Russia. 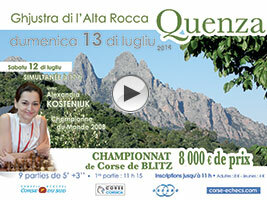 All kids born in 2003 and younger are invited to take part in this tournament. 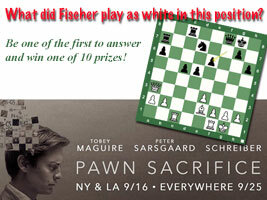 There is no entry fee and each participant gets a present. Hi everyone! 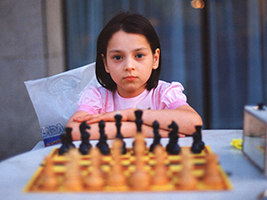 Right now I’m in Nashville, Tennessee, at the USCF Supernational 2013, having a great time and very excited to see so many young chess players around me, I’ll soon make a post with photos and news about it. 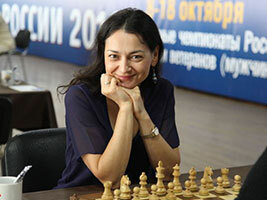 In a few days I will be playing at the Russian Team Chess Championship in Sochi, then in May I have a very strong FIDE Grand-Prix tournament in Geneva and in-between my chess tournaments I always make sure to come back to Miami to rejuvenate and to spend as much time with my family as possible. 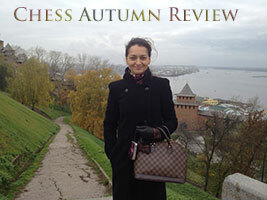 That is one of the greatest advantages of being a chess professional – to be able to travel so much and to see so many new places around the world.Since I love traveling so much and to share my traveling experience with others, it is with great pleasure that I accepted an offer from the Russian web-site – TravelTipz.ru to write regular reviews about the hotels where I stay, the restaurants which I discover and different activities I take part in during my trips. 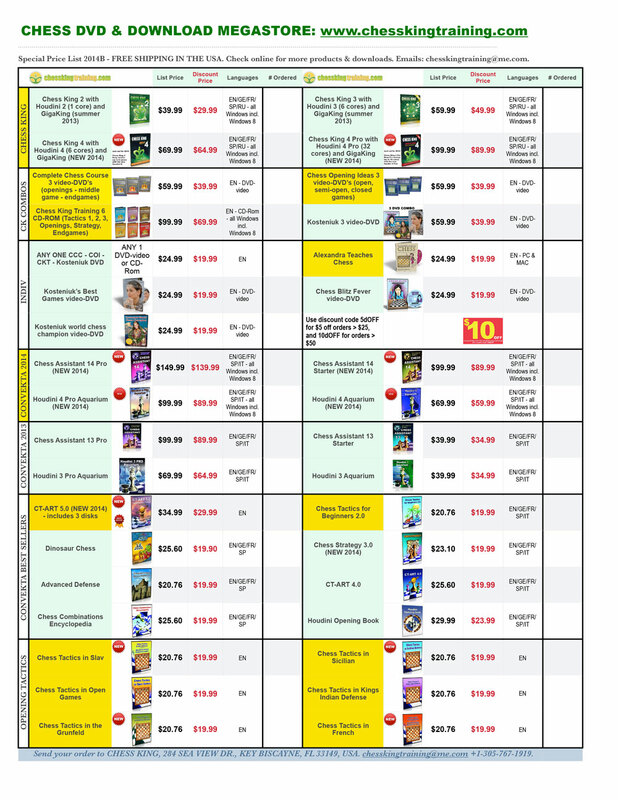 I will share my reviews on my site, Twitter and Facebook. 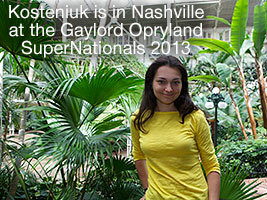 My first review will be about the huge hotel Gaylord Opryland in Nashville, coming up soon! I hope you will like it and it may be useful to you! 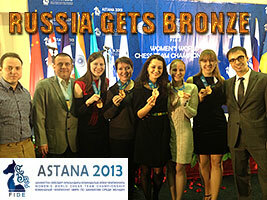 The 2013 Astana World Team Championships ended with the victory of the Ukrainian team with their top formation (Lahno, Ushenina, M. Muzychuk, Zhukova and Gaponenko), congratulations to a great team! 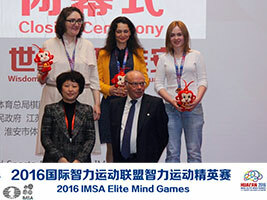 The silver and bronze was taken by two teams that were not able to align their best formations, first China playing without Hou Yifan and Zhao Xue, and second Russia (Gunina, Kosteniuk, Pogonina, Galliamova, and Girya) playing without the Kosintseva sisters. My (Russian) team did well, with 4 players out of 5 receiving individual board medals (super performance by Olga Girya with 6.5/8 on the last board). I started on a roll with 4.5/5 and even though I lost the last 2 games, still ended up with a performance of 2502 and just about 1 Elo point gained. 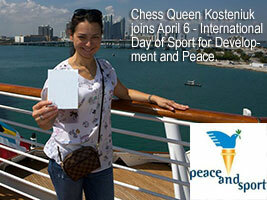 More info and photos about the event can be found below. I hope to comment one or more games soon for my YouTube channel. 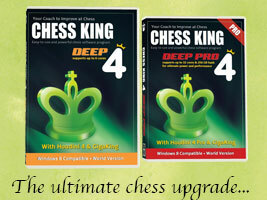 Read also the report on USA’s top chess blog www.chessblog.com.